To schedule a blower door test in Ohio, call or contact us for a Free Estimate. Our technicians are highly trained to perform air sealing tests and seal your home's air leaks. 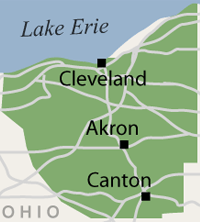 We proudly service Cleveland, Akron, Canton, Lorain, Elyria, Massillon, Medina, Strongsville, Lakewood, Chagrin Falls, Hudson, Cuyahoga Falls, Ravenna, Bedford, North Royalton, Westlake, North Olmsted, Wooster, Painesville, Alliance, Kent, North Canton, Beachwood, Barberton, Willoughby, Gates Mills, Stow, Brunswick, and all surrounding Ohio areas!